Make secure charitable contributions in seconds... Keep your donors happy! Giving online has never been more convenient or hassle-free. OneClick Donation™ (PATENTED) has changed the way we think about donating and has streamlined the entire giving process. When supporters donate to your organization, they can now make a gift just by entering their mobile number. That's it! CharityGiving is a donor-focused platform that makes giving safer, effortless, and convenient for donors. Donors have busy lives with many commitments. Charitable contributions are being made through mobile phones and tablets while on-the-go. 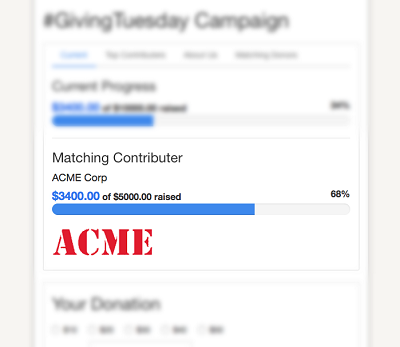 We offer a way for organizations to enhance their supporters' giving experience by making the process quicker, easier, and more responsive. Donors also have access to their very own CharityGiving account where they can track the history of their charitable contributions and the impact of their donations. Over 1 million donors use this service! Connect the CharityGiving widget to your donor management database using Zapier. This integrates with thousands of different databases including Salesforce, Raiser's Edge, and more. We are adding new apps every day! Did you know many donors work at companies that double the donations made by employees? We help you in automating and facilitating the process and encourage your donors to submit matching gift requests. The platform will help you double (2x) or triple (3x) your donations. Engage your donors and give them the tools to fundraise on your behalf. Customize every donor touch point, including automated thank you acknowledgements and tax letters. A matching gift campaign is a great way to encourage new or larger donations for campaign-specific appeals. 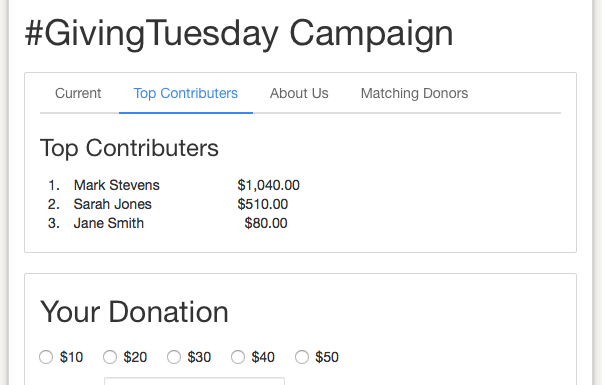 Show donors how much has been raised and matched in real time . 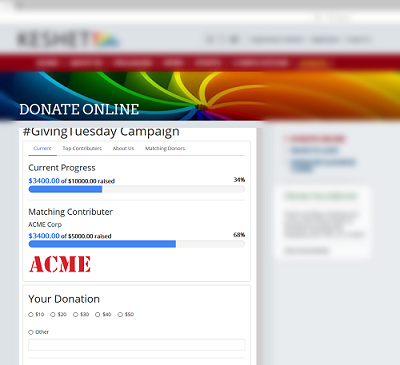 Quickly see where you are at in your fundraising campaign. Let your donors decide how much and how often they want to give throughout the year. Mobile responsiveness adjusts online donation forms to your phone's screen size. Donating from your mobile device has never been easier. Track multiple giving campaigns year-round. Give the donors the options to donate to specific campaigns that support different programs. Mandatory credit card processing fees can be covered by the organization OR the donor can cover the cost. You decide. Your donors can view their giving history and make changes to their donor profile at any time. Generate financial reports that track charitable giving and donor information. Exported reports integrate with your favorite internal financial management software. Donation forms and other metrics are tracked and integrated into Google Analytics to determine where donations are coming from. Start accepting donations in 24 hours! Need more customization? Please contact us.